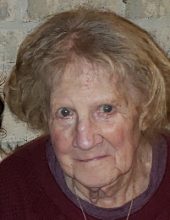 Elaine Catherine Massari ( nee Douglas ), 78, died Wednesday, March 27, 2019. Born in Kearny, she lived in North Arlington before moving to Millstone 7 years ago. She worked for Monumental Insurance Company in Union for many years before retiring. Elaine is the dear sister of Helen Caruso and her husband Angelo, Mary Ackerson , and the late Barbara Meehan and her surviving husband James, and the late Cecilia Cagnina. She was also the cherished aunt of many nieces and nephews. Relatives and friends are invited to attend the Funeral from the Parow Funeral Home 185 Ridge Rd., North Arlington on Monday, April 1st at 10 a.m. thence to Our Lady Queen of Peace Church, North Arlington for the Funeral Mass at 11 a.m. Entombment Holy Cross Chapel Mausoleum, North Arlington. The family will receive friends on Sunday 2-6 p.m. In lieu of flowers the family would appreciate donations made to Bergen County Animal Shelter & Adoption Center, 100 United Lane, Teterboro, N.J. 07608. To send flowers or a remembrance gift to the family of Elaine Catherine Massari, please visit our Tribute Store. "Email Address" would like to share the life celebration of Elaine Catherine Massari. Click on the "link" to go to share a favorite memory or leave a condolence message for the family.